As a small-business owner or individual, you trust that someone one you have loaned money to or those who receive a product or service from you will pay their bills. As an individual, you may have given loans to friends or family members and find that your trust has been abused. As a business owner, you may have fulfilled your obligations to a customer but have yet to receive the proper payment for your services. When a person neglects their obligation to you, you have the right to take legal action to collect what is owed to you. At Cherf and Greenup, P.C., we represent individuals, business owners and many credit unions in St. Clair Shores and the surrounding communities in collections matters. We put our years of experience — more than 35 years and counting — to work for you, taking action on your behalf to collect outstanding debts and preserve your financial stability. If someone owes you money, contact us to find out what options are available to you. To know that someone owes you money, but not know how you can get it from them is frustrating and can make you feel helpless. When you work with our lawyers, we explain the legal options available to you and help you navigate through the collections process. 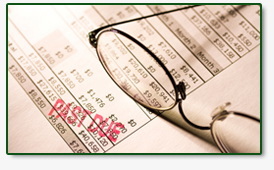 We have helped clients collect sums ranging from thousands to hundreds of thousands of dollars. Often just bringing an experienced collections attorney into the picture is all you need to do to convince the debtor that you are serious about collecting. We are often able to get a swift response in a situation where you were previously ignored or refused. Contact us to work with a skilled lawyer who can use the most effective collection methods to your benefit while being mindful of creditor's rights. You work hard — collect what you are owed and safeguard your business and livelihood.